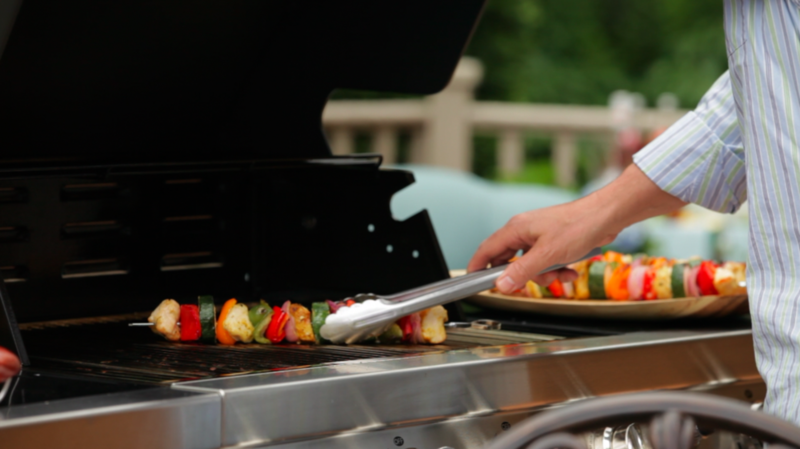 A rainy day should never prevent you from enjoying your favorite grilled and seared foods. 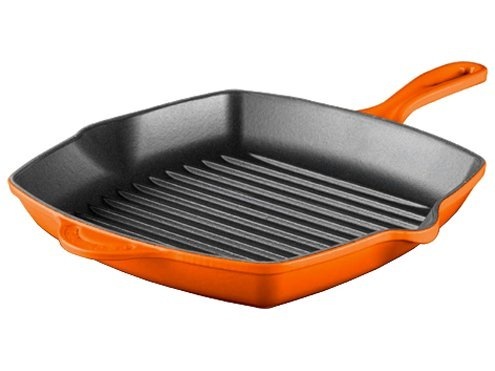 The Le Creuset Skillet Grill can go on the stove top, under the broiler, or in the oven. I have even started to grill a steak in the skillet on the stovetop and then placed the whole pan with the steak into a preheated oven to finish cooking. It may take a few minutes to preheat this cast iron grill pan, but watch out because once it heats up - it's smokin! Of course, a kitchen with good ventilation is a good idea. Should the sun pop out unexpectedly take this pan to your outdoor grill and place on the side burner or right on the grill top. Another benefit is while your meat or seafood is searing in the pan, the juices from the marinade will keep your foods moist and flavorful. I prefer the Le Creuset Skillet rather than the many imitators with a similar design currently in the market because Le Creuset uses the highest quality cast iron in the making of this pan. The ribbed base grid sears food evenly plus gives good characteristic grill marks, that adds definate flavor to meats, seafood and veggies. Yes, I grilled fresh sliced fennel on this pan on a TV taping last week. This pan is also perfect for making bruschetta.